KL Mid-Rise Mount for unlimited standing or IHMSA field position. 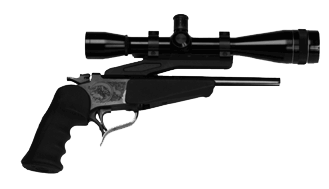 Ken Light's Full Length Sight Rib is designed to add versatility to Thompson Center Contender 10" or 12" Production barrels. 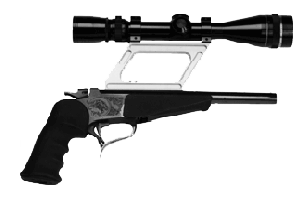 Extends sight radius to full legal limit. 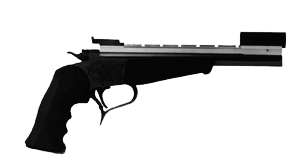 The Full Length Rib design conforms to IHMSA and NRA After Market Production Sight Rule, and is legal for NRA Hunter's Pistol Competition as well. 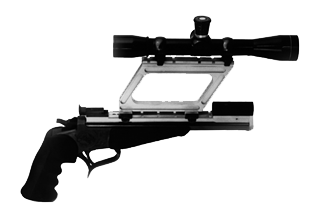 The Full Length Sight Rib is machined from aluminum and available in non-glare matte black finish. 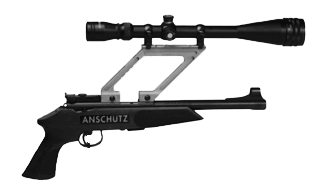 The Full Length Sight Rib requires no gunsmithing to install, and attaches using all six available screw holes for maximum strength. 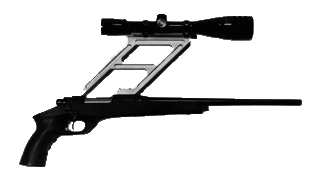 Contour of Full Length Sight Rib is machined front and rear, to fit barrel perfectly. 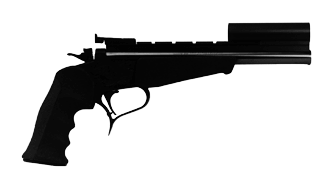 Includes long front hood suitable for iron sight "Taco Hold", with front blade adjustable for elevation and width. 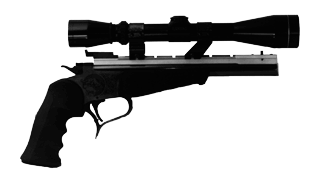 Add See-Thru extension rings and scope to qualify for Hunter's Pistol or Field Pistol. 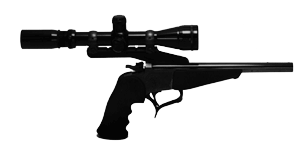 Scope mounts easily clamp on the Weaver-style base, and remove easily for switching back and forth from Open Sights to Scoped without changing zeros. Automatically anneals 1,000 case necks per hour. Increases brass life and improves accuracy. Ensures proper chamber seal. 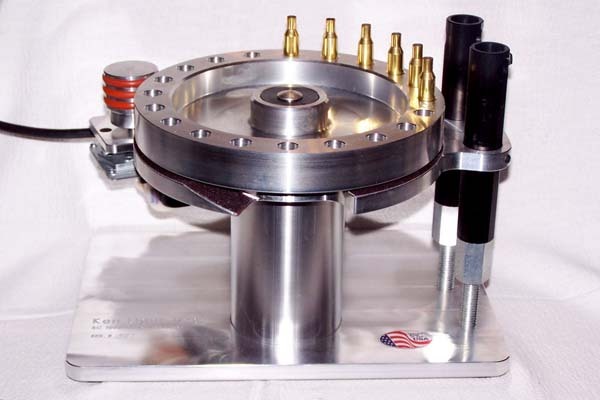 A must for forming wildcat cartridges. Comes complete with one cartridge head wheel. Additional wheels available, .22 Hornet to .50 cal. BMG.